Through the ectopic expression of four transcription factors, Oct4, Klf4, Sox2 and cMyc, human somatic cells can be converted to a pluripotent state, generating so-called induced pluripotent stem cells (iPSCs) (Lowry et al., 2008; Park et al., 2008; Takahashi et al., 2007; Yu et al., 2007). Patient-specific iPSCs lack the ethical concerns that surround embryonic stem cells (ESCs) and would bypass possible immune rejection. Thus, iPSCs have attracted considerable attention for disease modeling studies, the screening of pharmacological compounds, and regenerative therapies (Stadtfeld and Hochedlinger, 2010). 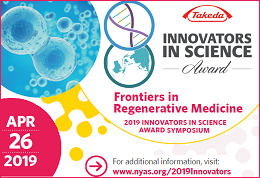 We have shown the generation of transgene-free human iPSCs from patients with different lung diseases using a single excisable polycistronic lentiviral Stem Cell Cassette (STEMCCA) encoding the Yamanaka factors (Somers et al., 2010). These iPSC lines were generated from skin fibroblasts, the most common cell type used for reprogramming. Normally, obtaining fibroblasts requires a skin punch biopsy followed by expansion of the cells in culture for a few passages. Importantly, a number of groups have reported the reprogramming of human peripheral blood cells into iPSCs (Loh et al., 2010; Seki et al., 2010; Staerk et al., 2010). In one study, a Tet inducible version of the STEMCCA vector was employed9, which required the blood cells to be simultaneously infected with a constitutively active lentivirus encoding the reverse tetracycline transactivator. In contrast to fibroblasts, peripheral blood cells can be collected via minimally invasive procedures, greatly reducing the discomfort and distress of the patient. A simple and effective protocol for reprogramming blood cells using a constitutive single excisable vector may accelerate the application of iPSC technology by making it accessible to a broader research community. Furthermore, reprogramming of peripheral blood cells allows for the generation of iPSCs from individuals in which skin biopsies should be avoided (i.e., aberrant scarring) or due to pre-existing disease conditions preventing access to punch biopsies. Here we demonstrate a protocol for the generation of human iPSCs from peripheral blood mononuclear cells (PBMCs) using a single floxedexcisable lentiviral vector constitutively expressing the 4 factors. Freshly collected or thawed PBMCs are expanded for 9 days as described (Chou et al., 2011; van den Akker et al., 2010) in medium containing ascorbic acid, SCF, IGF-1, IL-3 and EPO before being transduced with the STEMCCA lentivirus. Cells are then plated onto MEFs and ESC-like colonies can be visualized two weeks after infection. Finally, selected clones are expanded and tested for the expression of the pluripotency markers SSEA-4, Tra-1-60 and Tra-1-81. This protocol is simple, robust and highly consistent, providing a reliable methodology for the generation of human iPSCs from readily accessible 4 ml of blood. Draw 4 ml of peripheral blood into a BD Vacutainer CPT Cell Preparation Tube with sodium citrate. Invert the tube 8 to 10 times and centrifuge at 1,800 × g for 30 min at room temperature. Ideally, this step should be done within 2 hr of collection. Collect the mononuclear cells (MCs) by pipetting the buffy coat (cell layer between gel barrier and plasma) into a sterile 15 ml conical centrifuge tube. Bring total volume to 10 ml with sterile phosphate-buffered saline (PBS), invert several times and centrifuge at 300 × g for 15 min. Resuspend the cells in 10 ml of sterile PBS and perform cell count. Transfer 1 to 2 × 106 cells into a sterile 15 ml conical centrifuge tube and centrifuge at 300 × g for 10 min. Resuspend the cells in 2 ml of expansion medium (EM) (QBSF-60 Stem Cell Medium containing 50 μg/ml Ascorbic Acid, 50 ng/ml SCF, 10 ng/ml IL-3, 2 U/ml EPO, 40 ng/ml IGF-1, 1 μM Dexamethasone and 100 μg/ml primocin or 1% Pen/Strep) and transfer to one well of a 12-well plate. Incubate the cells in a 37°C, 5% CO2 incubator. Centrifuge remaining cells at 300 × g for 10 min and freeze ∼2 × 106 cells/vial in FBS containing 10% DMSO. To start the protocol using frozen PBMCs, thaw 1 vial of cells into 10 ml of QBSF medium and centrifuge at 300 × g for 10 min. Resuspend the cells in 2 ml of EM and transfer to one well of a 12-well plate. Incubate the cells in a 37°C, 5% CO2 incubator. 7. Transfer the cells to a sterile 15 ml conical tube and wash the well once with 1 ml of QBSF-60 Stem Cell Medium to collect adherent cells. 8. Centrifuge the cells at 300 × g for 10 min. 9. Resuspend the cells in 2 ml of EM and transfer to one well of a 12-well plate. Incubate the cells in a 37°C, 5% CO2 incubator. 10. Transfer the cells to a sterile 15 ml conical tube and wash the well once with 1 ml of QBSF-60 Stem Cell Medium to collect adherent cells. 11. Centrifuge the cells at 300 × g for 10 min. 13. Spin the plate at 2,250 rpm at 25°C for 90 min. 14. After spin, add an additional 1 ml of fresh EM containing 5 μg/ml of polybrene for a total of 2 ml of medium and incubate the plate in a 37°C, 5% CO2 incubator. 15. Transfer the cells to a sterile 15 ml conical tube and wash the well once with 1 ml of QBSF-60 Stem Cell Medium to collect adherent cells. 16. Centrifuge the cells at 300 × g for 10 min. 17. Resuspend the cells in 2 ml of EM and transfer to 1 well of a 12-well plate. Incubate the cells in a 37°C, 5% CO2 incubator. 18. Coat the wells of a 6-well plate with 0.1% gelatin and plate inactivated mouse embryonic fibroblasts (MEFs) at 2×105 cells/well in MEF medium (IMDM containing 10% FBS, 1% Non-Essential Amino Acids, 100 μM β-mercaptoethanol, 2 mM L-Glutamine, 100 μg/ml primocin or 1% Pen/Strep). Prepare 3 wells per infection. 19. Transfer the cells to a sterile 15 ml conical tube and wash the well once with 1 ml of QBSF-60 Stem Cell Medium to collect adherent cells. 20. Resuspend the cells in 3 ml of MEF medium containing 10 ng/ml bFGF, and Ascorbic Acid and growth factors at the same concentrations as used in EM medium (50 μg/ml Ascorbic Acid, 50 ng/ml SCF, 10 ng/ml IL-3, 2 U/ml EPO, 40 ng/ml IGF-1, 1 μM Dexamethasone). 21. Plate 1 ml of cells per well of a 6-well plate containing MEFs. Add 1.5 ml of MEF media with bFGF, Ascorbic Acid, and growth factors for a total of 2.5 ml of media/well. 22. Spin the plate at 500 rpm at 25°C for 30 min. Incubate the plate in a 37°C, 5% CO2 incubator. 23. Feed cells every other day with 2.5 ml of MEF media containing 10 ng/ml bFGF and 50 μg/ml Ascorbic Acid (no growth factors). Aspirate and discard floating cells with each feed. 24. Add additional MEFs as needed (usually once a week). 25. Once small colonies appear, feed cells daily with 2 ml of human embryonic stem cell (hESC) medium (DMEM/F12 containing 20% Knockout Serum Replacement, 1% Non-Essential Amino Acids, 100 μM β-mercaptoethanol, 2 mM L-Glutamine, 100 μg/ml primocin or 1% Pen/Strep and 10 ng/ml bFGF). 26. Pick each colony in individual wells of a 12-well plate pre-seeded with inactivated MEFs containing 1 ml/well of hESC medium plus 10 μM of Stemolecule Y27632 (ROCK inhibitor). When less than 5×105 cells are transduced, cells may be plated onto one or two wells of a 6-well plate containing MEFs. We have experienced some variability in the time necessary to observe hESC-like colonies, in some cases up to 25 days post-transduction. The use of ROCK inhibitor is critical to enhance the survival and cloning efficiency upon picking of emerging iPSC colonies. These studies were funded in part by NIH UO1HL107443-01 Award to GJM and GM. Last revised March 28, 2013. Published April 29, 2013. This chapter should be cited as: Gianotti-Sommer, A., Rozelle, S.S., Sullivan, S., Mills, J.A., Park, S.-M., Smith, B.W., Iyer, A.M., French, D.L., Kotton, D.N., Gadue, P., Murphy, G.J. and Mostoslavsky, G., Generation of human induced pluripotent stem cells from peripheral blood using the STEMCCA lentiviral vector (April 29, 2013), StemBook, ed. 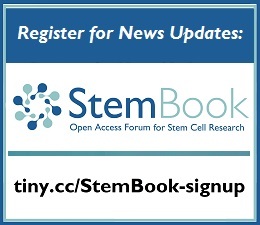 The Stem Cell Research Community, StemBook, doi/10.3824/stembook.1.93.1. StemBook Protocols are a collection of protocols collected by a team stem cell core facility heads. 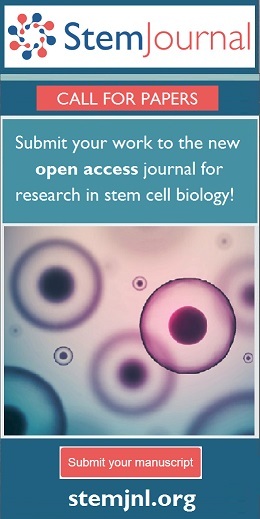 The protocols span the range of diverse techniques inherent to the interdisciplinary nature of stem cell research. We welcome your input on these protocols through our discussion forums and comments section.